With a stunning, sparkly genuine Swarovski crystal heart shaped pendant at its heart, which look stunning when paired with the matching satin ribbon that is hand tied into a pretty bow on the side. 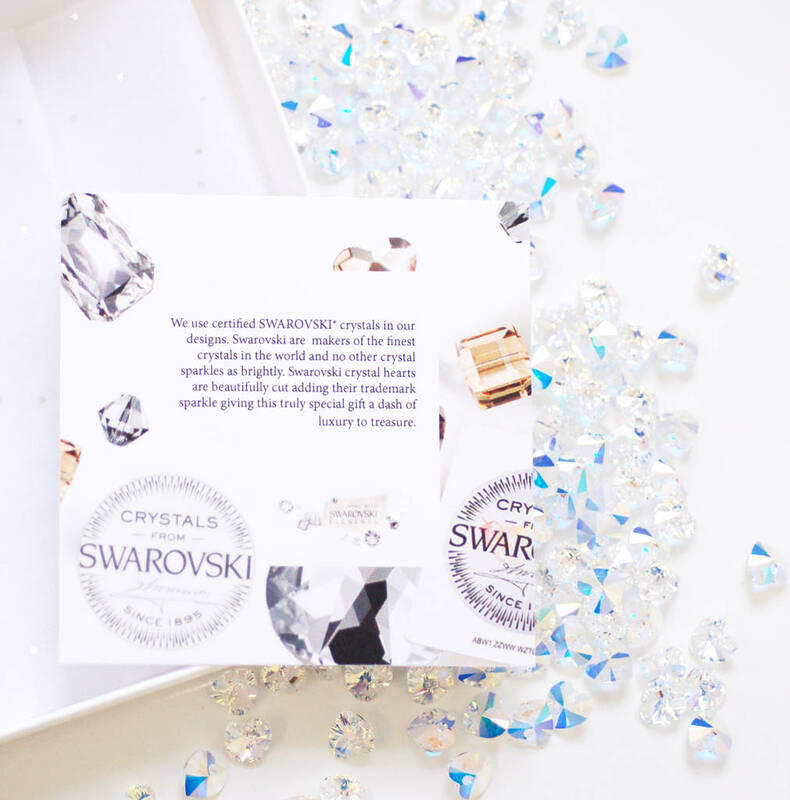 This looks stunning when paired with the stark white card. 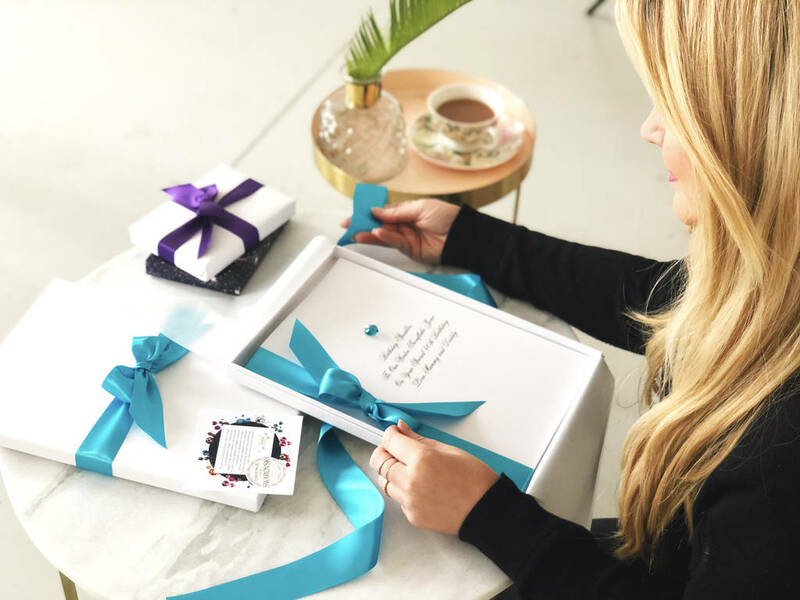 The card is supplied in a 2 piece white card presentation box that is tissue lined and tied with a matching bow to make an extra special keepsake that will be loved by both givers and recipients alike. XLarge cards come with a thicker luxury 2 piece gift box. The card is always white, the font is always black. You can type the wording that you would like on the front of this card over the 3 lines. If you would not like wording on a line, just leave it blank. 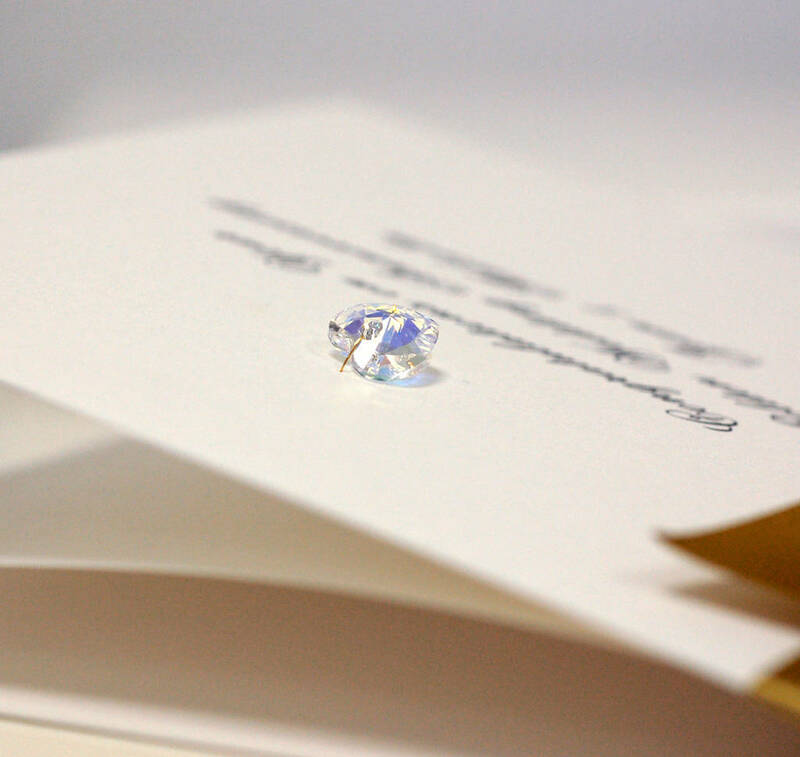 The card is blank with no message inside, but you can choose to type your own message. Just choose the printed message inside option, then type your wording. Please do not write your wording all in capitals as with this font it is not legible. Please spell, punctuate, capitalise your wording as you would like it to appear. 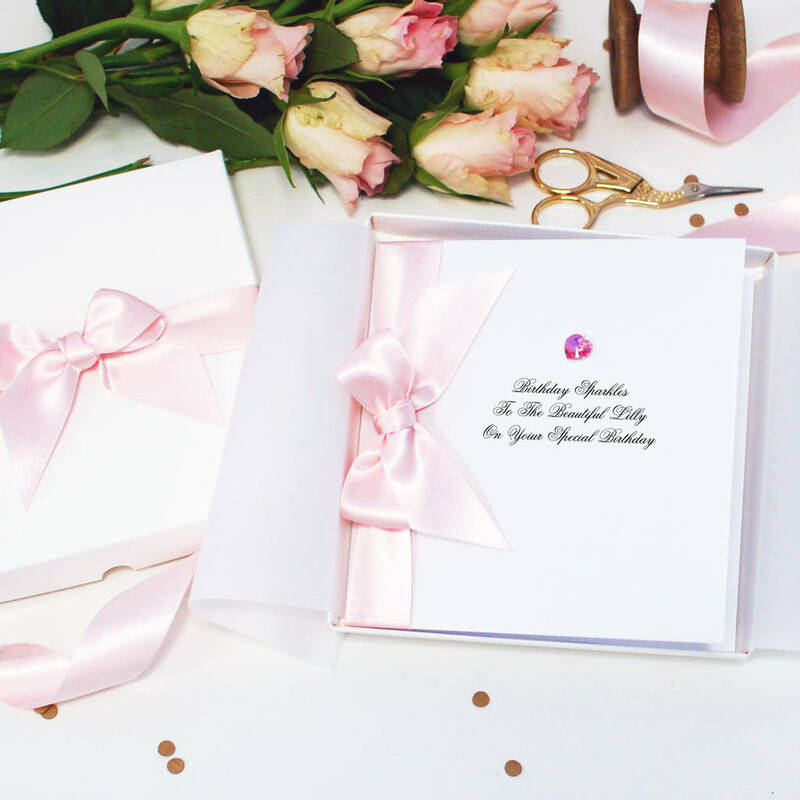 Your wording will be copied and pasted directly onto your card. Your inside wording will be laid out by your designer. 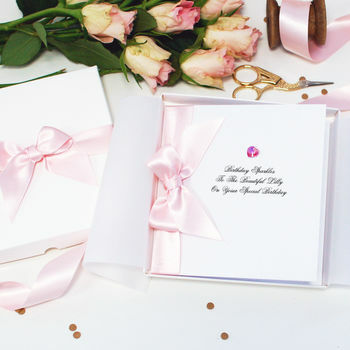 The box bow is pre tied and comes with the card, so that you can easily slip this over the card before giving without you having to untie/tie your own bow. 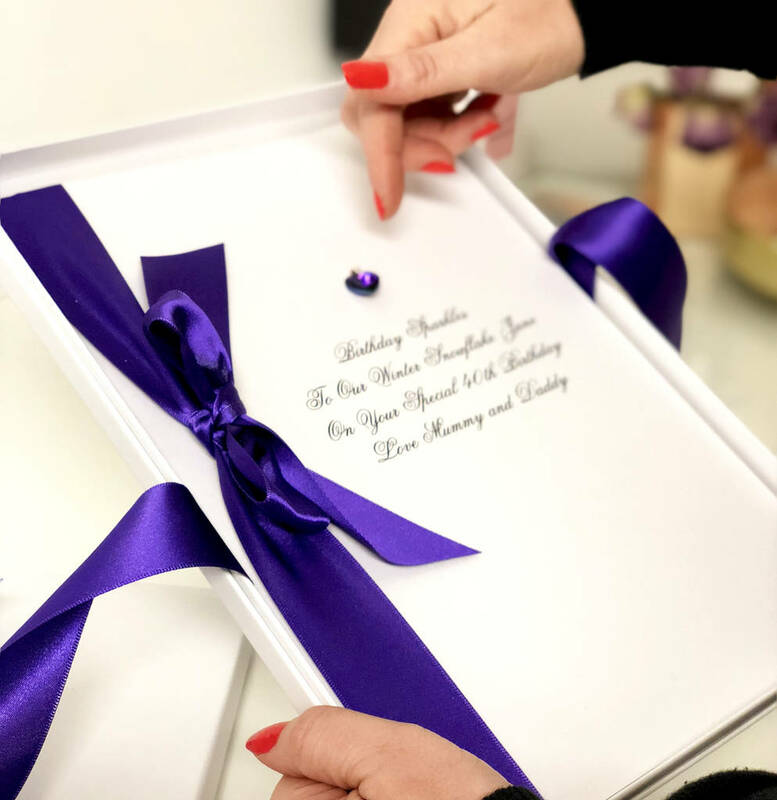 Standard - width 140 mm x height 140 mm face on when closed, comes in a 2 piece card presentation box with bow tie and tissue liner. 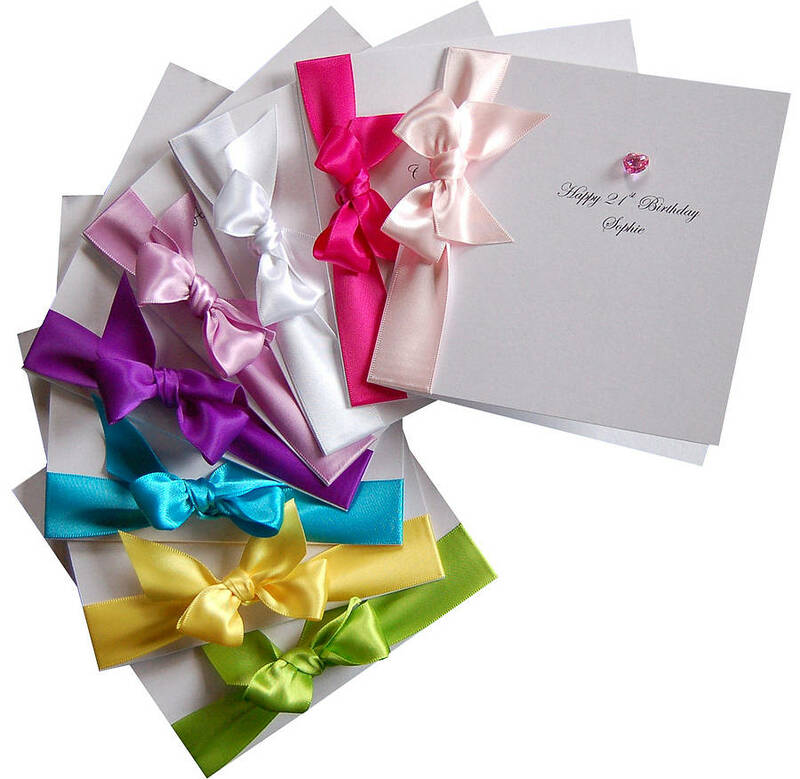 Large - width 140 x height 210 mm face on when closed, comes in a 2 piece card presentation box with bow tie and tissue liner. X Large - width 210 x height 297 mm face on when closed, comes in a 2 piece board presentation box with bow tie and tissue liner. This product is dispatched to you by Made With Love Designs Ltd. Sent by First Class Post which can take 1-3 days to arrive. 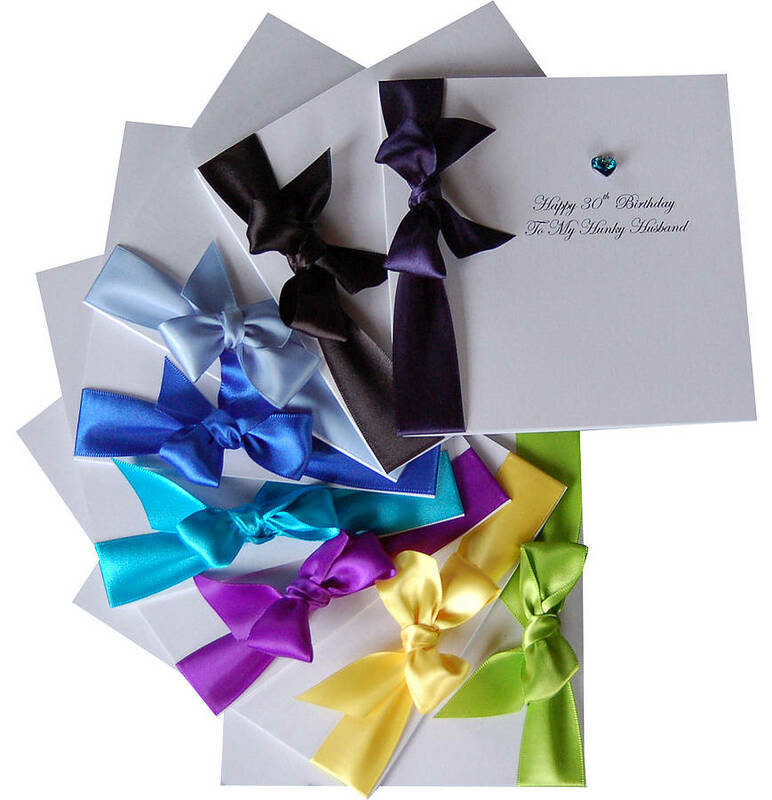 Cards are made to order and are normally dispatched the next working day.